Have you heard about Google for Jobs? 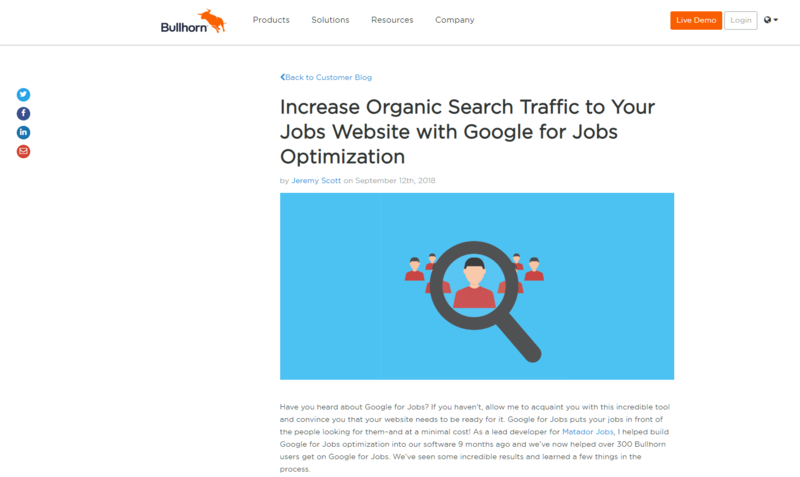 Bullhorn have just published an article by my fellow Matador developer Jeremy Scott on how Google for Jobs optimization can increase search traffic to your jobs website. Based on the experience of building Google for Jobs optimization into the Matador software, the article explains what Google for Jobs is, how it works and offers a high-level overview of how to optimize your company’s website.